Winston Benjamin was born in Kingston, Jamaica and grew up in the Bronx NY. He received his B.A. in Economics from Wheaton College. He holds an M.Ed Curriculum and Instruction from the University of Washington. Currently he is a Ph.D. student in the College of Education. Benjamin has worked in the youth development field for three years in Boston, Massachusetts. He was also a charter school administrator and teacher for three years in Chelsea, Massachusetts. 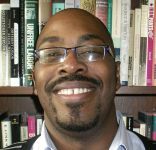 His professional and personal life has been driven by a desire to understand issues surrounding civil rights and equity. His area of interest is multicultural education. Specifically he is focused on examining the Jamaican immigrants experience in the U.S. school system.